Welcome back to the Wild, Wild West, readers! 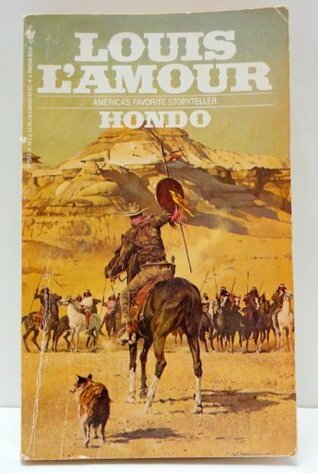 Here is yet another review for a Louis L’Amour novel that you may peruse at your pleasure. I am making up for lost time on this, am I not? Well, it cannot be helped. I have reviewed lots of other books, and left one of my favorite authors on the shelf. That should not have happened. So now this blogger intends to see to it that a great man’s work is exposed to a good bit of daylight. 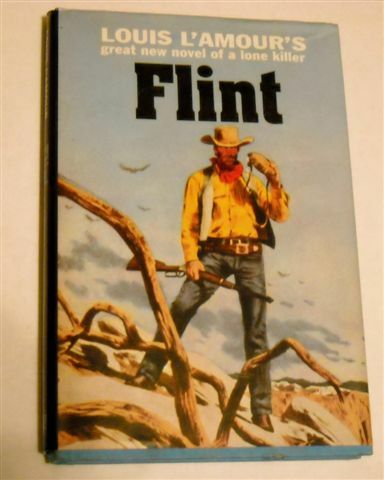 This time, the focus is another western of Mr. L’Amour’s: Flint. Jim Flint, under the alias of James T. Kettleman, is headed back west. Having come east to disappear, he is now headed west to do the same. See, Jim Flint is a big, powerful man. He has been strong since boyhood. Who his parents were he has no idea, for he was found and raised by a wandering gunman who only went by the name Flint. Now he is going back. Diagnosed with cancer, Jim Flint is headed back west to die. His wife, whom he married simply because he wanted company, does not want to wait for the cancer to run its course. While he was back east, Flint made a fortune in the stock market and on many other business ventures. He is one of the wealthiest men in the nation, getting wealthier all the time. So, with her father’s help, Mrs. Kettleman planned to kill Jim. But she does not know her husband very well, since Flint is a man of sparse speech and very reticent about his past. This meant that she and her father had no idea Jim was good with a gun – and better than the man they sent to kill him at a gambler’s table on a ferry. They are also initially unaware of the fact that Jim knows they want his money. And he has no intention that they should see a penny more than he wishes to leave them (i.e., he will leave his wife enough to live on, but not in the way she wants to live on it). With his lawyer’s help, he sets up all his assets to be liquidated as he sees fit, making sure his wife and father-in-law will not get his fortune. Now, on the train west, Flint spots a man who is definitely trouble. This man is Buckdun, a hired killer. Jim does not know his name yet, but he knows his type; dangerous as you can find. Jim Flint also spots a very pretty young woman on the train whose name he overhears: Nancy Kerrigan. Now Nancy Kerrigan, owner of the Kaybar Ranch, has her own problems. Settlers are streaming west, and a former political animal – now styling himself a businessman – has come to the locale of her ranch from back east to make his fortune in the unimaginable wealth of the west. Port Baldwin is trying to become a power in the area. This concerns Nancy because her ranch, the Kaybar, is a land claim. She has no title, no deed, for it. Her father purchased some of the ranch land from the Indians, but Indians do not give out titles or deeds. What is more, one Indian can always claim that those Indians who sold the land had no right to sell it. This puts her ranch and livelihood in serious jeopardy. Her father and her uncle built the ranch up over the years, held it against Indian attacks (which she lived through), and she does not want to lose it. The Kaybar is her home, and she intends to hold it no matter what. The biggest, most immediate problem with this is that Port Baldwin has started to brew a range war. Range wars are ugly, violent affairs that can end very badly for those involved. And when Nancy sends one of her hands out to file a claim on the Kaybar so she can later buy the rights back from him, along with several others, the man is ambushed and left for dead. Enter Jim Flint, who has no intention of getting caught up in a range war but who also does not care if he lives through it or dies in it, since he is going to die anyway. And a man who has nothing to lose is a one big bag of terrifying. With no fear of his own death, Flint cannot be forced to simply back down. If you want him out of your way, you will have to kill him. And he is a hard man to kill. From here, you will have to break your own trail, readers. Have fun reading Flint, and may you find many more L’Amour stories to interest you as time goes by! May there be a road! This entry was posted in Book Reviews and tagged American West, Book Reviews, books, books about the old west, Flint, Louis L'Amour, old books, Old West, old west fiction, the American West, The West, Western novels, westerns, wild wild west on February 2, 2017 by The Mithril Guardian. I do not recollect seeing the film Shane. I know that Fonzie, of Happy Days fame, swore by the movie and would become highly upset with someone who admitted that they had never seen it. But I have done one better. I have read the book. “Call me Shane.” That is what the stranger who rides up to the Starrett farm tells the man of the house. Joe Starrett, owner of this homestead in the Wyoming territory, is trying to make the farm work. His son, Robert MacPherson Starrett – “Bob” because his full title is “too much name for a boy” – is the protagonist of the story. Having watched Shane approach from a distance, Bob is intrigued by the stranger. Of all the men he has seen in town, none are like Shane. Not even his father, whom he loves more than any other man, quite compares to Shane’s carefully concealed strength. Joe Starrett invites Shane in for dinner and introduces him to his wife, Marian. Shane treats her like the lady from the East that she is, inspiring her to curtsy to him when he makes the proper opening gesture of respect. Shane accepts Joe’s offer of a place to sleep that night, though since the house only has enough room for the family, he will have to sleep in the barn. The next day, Bob’s father tells the drifter that he is in a tight spot. One of the local ranchers – a man named Fletcher – is trying to “crowd” Mr. Starrett and a bunch of other farmers off of their land. Called “nesters” by Fletcher (and other ranchers like him) because they “nest” on the open range the ranchers used to let their herds feed on freely, the farmers are no match for Fletcher’s wealth, influence, and power. For instance, just a few months before, Joe’s young helper was chased off by some of Fletcher’s men. They beat him up badly, after which he packed his things, “cursed” Joe Starrett, and left without a backward glance. Joe makes sure to mention this to Shane when he essentially offers to hire the other man. Shane states he knows nothing about farming, but he takes the job all the same. Months pass, and as they do, Bob watches Shane. Over the course of time he grows to love Shane as a second father. Shane is a short book, but it is well worth reading. My description of it here is diminished because if I say much more, I will spoil the story completely. A longer book has more leeway for description; more happens that can be described without spoiling the novel too much. Jack Schaefer’s book, while it is sixteen chapters, does not have a lot of flexibility in this regard. If I say too much more about the story, I will tell you a good deal more than I wish to say. As a final note, I know why Fonzie swears by the film. If it was even half as good as the book, it is worth swearing by. Shane is a classic, without question. If you can grab a copy, readers, it will be well worth your money! 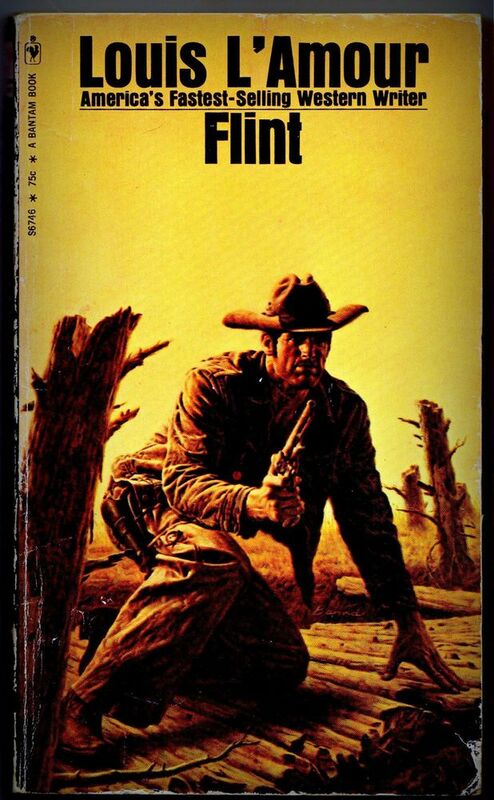 This entry was posted in Book Reviews and tagged American West, Book Reviews, books, books about the old west, Fonzie, Happy Days, Jack Schaefer, old books, old books for children, Old West, old west fiction, Shane, the American West, The West, Western novels, westerns on October 14, 2016 by The Mithril Guardian. It was true, of course. Wandering got into the blood, and there were always those greener pastures that lay over the fence or over the next range of mountains. This entry was posted in Quotes and tagged American West, books about the old west, Louis L'Amour, Old West, old west fiction, Quotes, the American West, The Cherokee Trail, Western novels, westerns on April 7, 2016 by The Mithril Guardian. 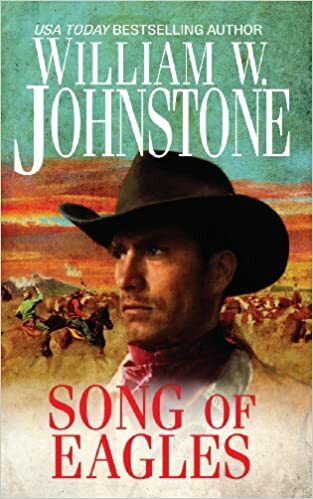 Song of Eagles, by William W. Johnstone, is a Western that focuses on the fictional Falcon MacCallister. The book begins with Falcon moseying along looking for work. He is not hard up for money; he just wants to have a little job to keep him busy. His children are back East in school and he has nothing much to do at the moment (his wife is dead). Falcon goes to visit his father’s friend, John Chisum. Chisum’s ranch is not far from the little town of Lincoln, situated in the New Mexico Territory. If you know your Old West history, readers, then you have some idea of what is coming next. While at Chisum’s place, Falcon witnesses a youth named Billy Bonney arrive. Like Falcon, Bonney is also looking for work, but he hopes to get a job at a ranch. Chisum has no place for him, but directs the lad to his friend John Tunstall, whose spread is not far away. At the same time, Chisum directs Falcon to nearby Fort Sumner. He does this because Falcon enjoys playing poker – a game most believe is won by luck but which MacCallister wins by his skill at reading his opponents. On entering the town, Falcon finds the local saloon and asks the owner to let him have a share in the place. The older man agrees to the bargain and, while he goes to visit some family for a few months, Falcon runs the business. Not long after Falcon and Bonney settle in, Tunstall is murdered and the Lincoln County War erupts. Falcon maintains his friendship with Billy throughout the conflict. 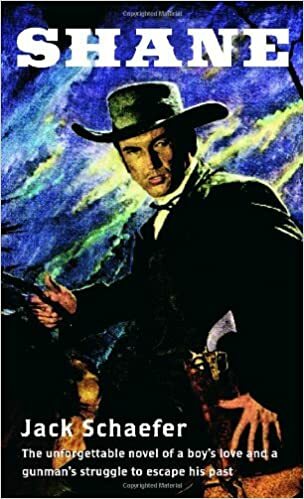 He is also never caught when he surreptitiously aids the persecuted cattlemen, especially John Chisum, during the “war.” Throughout the book he keeps the saloon going and aids Billy the Kid/Billy Bonney with advice and/or a place to stay every once in a while. Song of Eagles is a great story. To start children off with a love of Western fiction, this book may not be the best. But Johnstone’s story is historically accurate and a fun read, and it has an interesting twist or two at the end. You can while away a few afternoons reading it. Well, partners, time for me to ride off. I will see you around! This entry was posted in Book Reviews and tagged American West, Billy Bonney/Billy the Kid, Book Reviews, books about the old west, cowboys, Falcon MacCallister, Fort Sumner, historical fiction, John Chisum, John Tunstall, Lincoln County War, New Mexico, New Mexico Territory, Old West, old west fiction, outlaws, ranches, Song of Eagles, the American West, The West, Western novels, westerns, William W. Johnstone on April 1, 2016 by The Mithril Guardian. Nobody asked questions out here. That was one of the first things she had to learn. Every man was taken at face value until he proved himself to be otherwise. What you had been before was unimportant. The West, she had come to understand, was a place where you started over. When you came West, you wiped off the slate, and whatever you were began here and now. If you had courage, did your job, and were a man of your word, nobody cared whatever you might have been. It was a good thing, she decided. There should always be a place for people to begin again. Some, like herself, had lost loved ones. Some had gone bankrupt, some had gotten themselves into trouble with the law, into debts that were a burden, some were simply men and women who did not fit into any pattern. They were not the kind to become tellers in the corner bank, grocery clerks, ministers, or lawyers. They were born with a restlessness in them, an urge to move, to get on with it. If you proved yourself a responsible person, nobody cared where you came from. She was learning, she realized, and ridding herself of preconceived ideas. She had heard the West was lawless, but that had been a mistake. Organized law was, for the most part, remote and far away. However, there were unwritten laws that all obeyed, and if there were a few who did not, the response was apt to be abrupt and very, very final. This entry was posted in Quotes and tagged books about the old west, learning, Louis L'Amour, old west fiction, the American West, The Cherokee Trail, The West on March 3, 2016 by The Mithril Guardian.